Starting a new business… surely its not difficult right? That’s a question asked often and the answer can be easily summed up with the Guardian’s headline “You are never prepared for how much hard work it is” (Walsh, 2012). Nevertheless, this did not stop 122 people, including students and industry professionals descending on the Kings Centre in Norwich to do just that at Sync the City, an event organised by SyncNorwich and UEA. 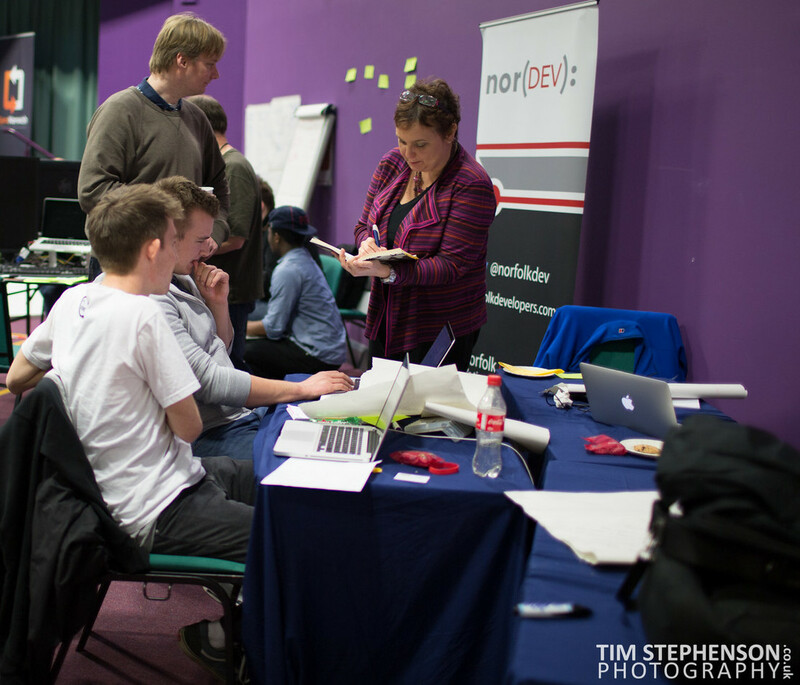 SyncNorwich is a technology focused business community which hosts regular meetup events and talks in Norwich. 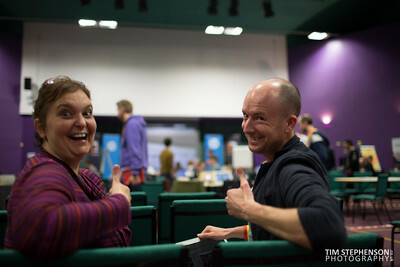 If you’re interested in attending a meetup or just want to find out more, then check out http://www.syncnorwich.com. 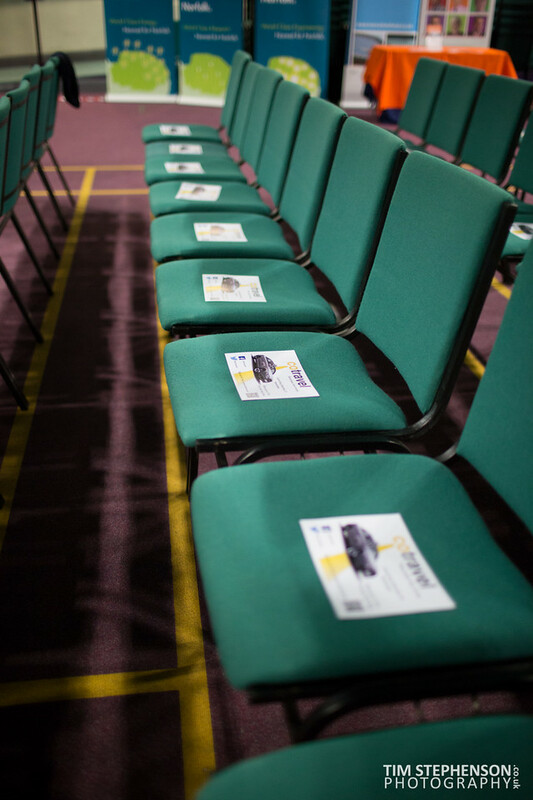 If you are a student, then it is especially good to get involved given the networking opportunities SyncNorwich provides; and you can potentially speak at a student led event. Amongst the organisers, was Fiona Lettice, Professor of Innovation Management at Norwich Business School, and who happens to be my primary PhD supervisor. MyLib, a smartphone app to access local library services. EverCare, an app to improve the communication and coordination of care workers. Digs, a shared home coordination and communication app. 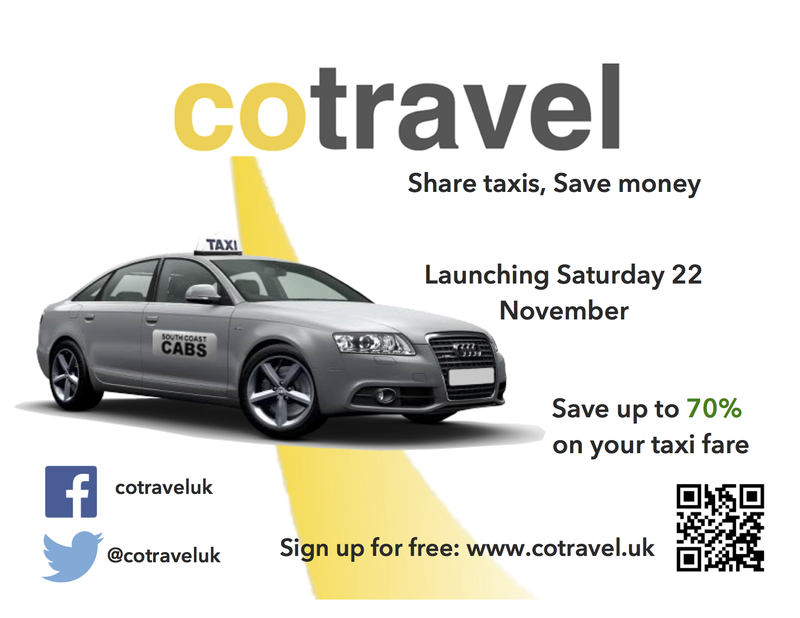 cotravel, an online service to arrange taxi sharing between individuals. I was a member of the cotravel team, which, in addition to myself, consisted of two PhD students in the School of Computing Sciences, a lecturer in Software Engineering, three 3rd year business management undergraduates and a usability professional from Aviva. After about five and half hours sleep, it was time to head back to the Kings Centre to begin developing and building cotravel both as a system and a business. 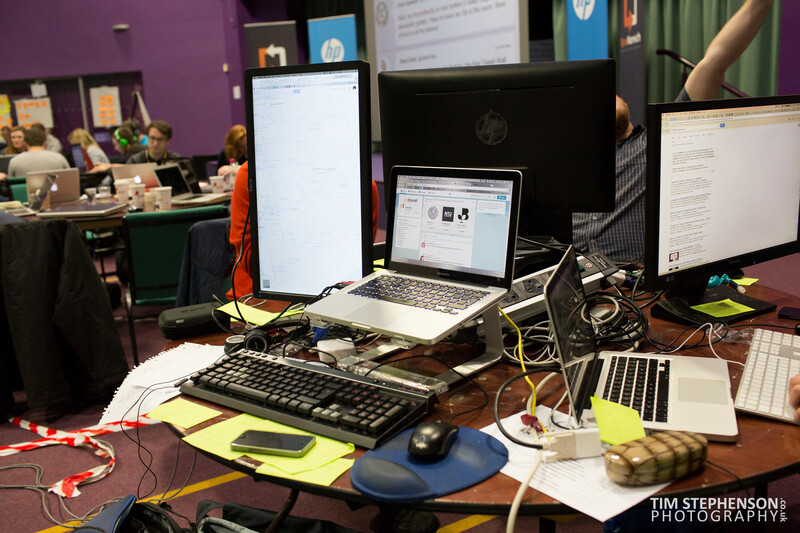 We quickly ‘constructed’ what became known at the event as the “engine room”, and inadvertently introduced the notion of ‘monitor poverty’ for the other teams. The “engine room” consisted of two development stations, where both of the Computing Science PhD students were based, as well as the station with the vertical display, which is where I was found lurking. This facilitated the working arrangement well, where I was physically positioned next to both the development and business teams, proving strategically important for the smooth running of the process. My role was almost that of the intermediary, where management of the business team was critical, as was the communication to and from the developers. While development activities focused on the system itself, it was in two strands: a front end and a back end with one developer assigned to each. However, for the development to proceed smoothly, significant business input, including market research and feedback was hugely important. Indeed, market research became the first business task to be undertaken, and at 8am on Friday morning, the business team were out conducting market research surveys with commuters at Norwich Train Station. 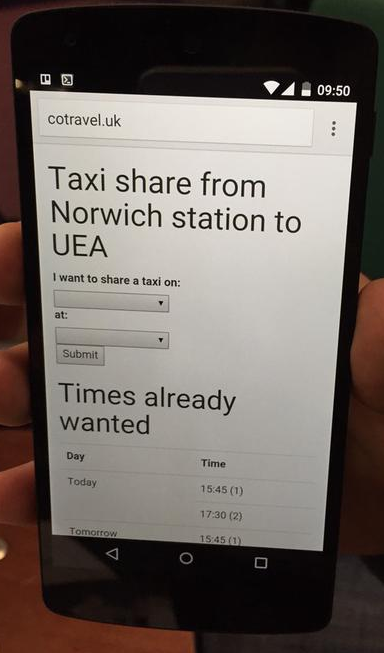 The same survey was asked to 100 online respondents and students and staff at UEA. In total, we achieved just under 200 responses – not bad for a morning’s work! The data were analysed, and we discovered some significant figures, including: over 70% of individuals would consider taxi sharing, rising to over 90% if the taxi is licensed. Taken together with a UK taxi market value of over £9 billion, we believed the business to be viable, a sentiment agreed with the many mentors at the event, including Ali Clabburn, the CEO of liftshare.com. The market research data was disseminated amongst the team, with the developers implementing the agreed requirements. By this point, the development team had completed the underlying architecture of the system, and had the framework in place to implement the specifics of cotravel. We also had a functional, albeit basic web front end up and running! The cotravel name was developed to become a brand, albeit in an infant state, complete with a logo and website theme to match. At this point, the business team turned its attention to marketing and social media to begin promoting cotravel. This involved a twitter account and Facebook page. With the team well and truly firing on all cylinders, we decided to just ‘go all out and see where this ends up’. The excitement must have shown, given my supervisor’s retrospective comments of “you were that into it that I thought you’d leave your PhD”. Indeed, it was exciting, and this was further fuelled when the business team had successfully pitched and secured local taxi firm: Loyal Taxis. 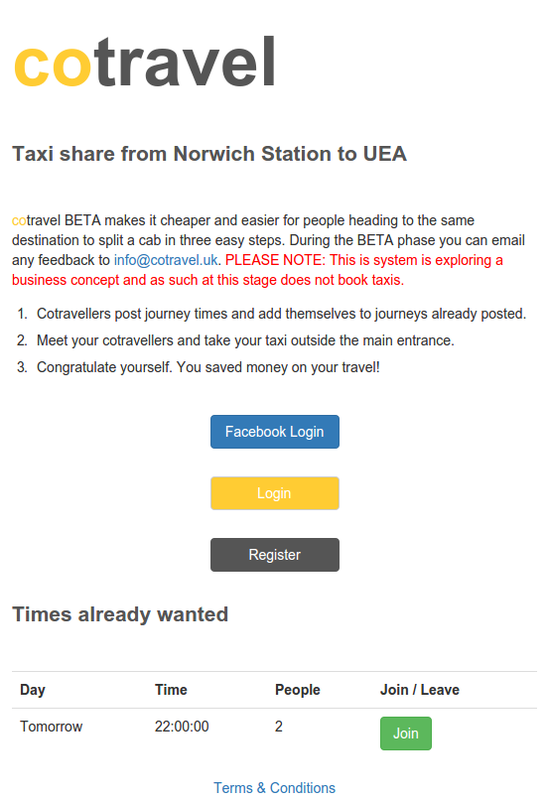 Despite this success, it proved difficult signing up other taxi firms owing to the time of day and that the decision makers were not available. None the less, having Loyal Taxis on board was much more than we expected. Moving on, the development team wrestled with the Facebook SDK to enable Facebook logins on the cotravel website, a decision which was worth the pain, as almost all participants in the beta launch used Facebook to login. This highlighted the influence social networks have on us, and reinforced our decision to promote cotravel on both Facebook and Twitter. The final major development on the Friday evening was the interview with EDP Journalist, Ben Woods, which led to cotravel being featured in Saturday’s EDP. The day began with a trip to the newsagent to pick up a copy of the EDP. Indeed, SynctheCity was given a full page, with cotravel mentioned within the article (Woods, 2014). Spirits were high as we entered the final day and we decided to go for it, not particularly caring if we were to win any prizes or not (which we didn’t). 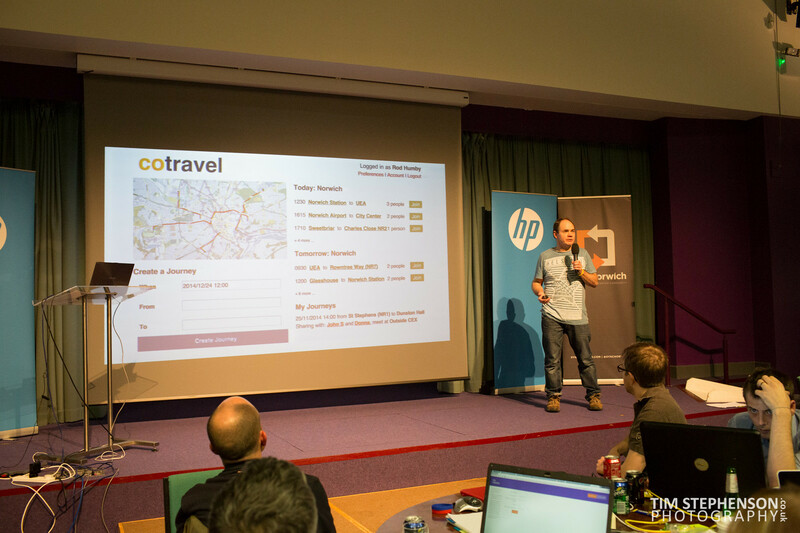 As the development team manned the engine room for the final day, the cotravel application came to life. The business team’s focus was a marketing push, which involved the creation of a launch flyer, which was then distributed to people in the city centre as well as taxi hotspots such as pubs. The flyer was designed to raise awareness of cotravel, but to also promote and encourage consumer engagement on its social media platforms, namely Twitter and Facebook. Our true apprentice moment came when we successfully negotiated on the printing price, saving £15 for a batch of 250 flyers. We were convinced at this stage that Lord Sugar would be pleased. Following this, the business team, with a seconded Dr Joost Noppen, lecturer in the School of Computing Sciences (CMP), hit the streets to distribute the flyers. Yes, it as another achievement getting a CMP lecturer to hand out flyers! We purposely kept back some flyers, given the team sensed the opportunity to cover the Saturday night audience seats with them. The cotravel application was completed as a minimum viable product and was launched in a public beta, allowing users to register, login and use site. Facebook logins were integrated as well as the ability to register and login without using Facebook. Terms and Conditions were also drafted. The now exhausted development team fixed a few last bugs with the application as they were reported, and took a well earned break. Meanwhile, the business team were working closely with Rod Humby of Aviva, who would be pitching cotravel to the judges and audience. Market research figures as well as mock-ups of future user interface designs, were compiled and inserted into the presentation. professionally as possible; a task that Rod undertook like a champion. It was now in the hands of the judges, who sadly decided that on this occasion, cotravel was not a winner. 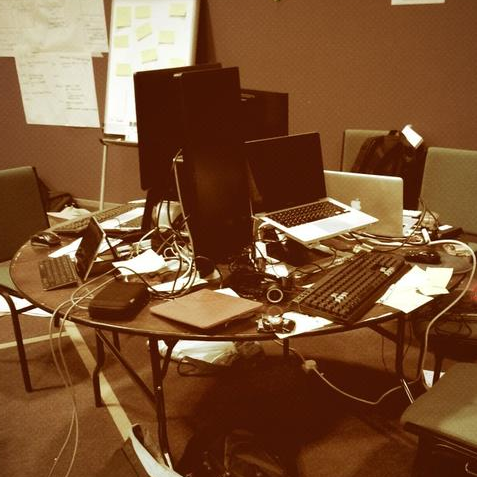 It was unanimously decided amongst the team that the reason we did not win was due to not having enough screens. So, cotravel didn’t win, was it all for nothing? Absolutely not, the event was great fun and challenged every member of the cotravel team by taking each of us out of our comfort zones. For students it provided a fantastic opportunity to apply concepts learned whilst studying; and for industry, it proved that students can be dedicated, hard working and above all successful. In fact, I strongly argue that everyone who took part was a winner, irrespective of if they received a prize or not. The start-up ideas were good and some very novel. However, particular congratulations has to be offered to those who did receive prizes, including UEA Student Emma Pearce, with her EverCare application, which attracted serious attention from Norfolk County Council. So, congratulations to SyncNorwich and the sponsors for organising what was an engaging, enjoyable and yet challenging event. I look forward to next year! coffee-shop, accessed: 26 November 2014.
event_1_3859336, accessed: 26 November 2014. Next Post Brand Bites: How do you build a brand?